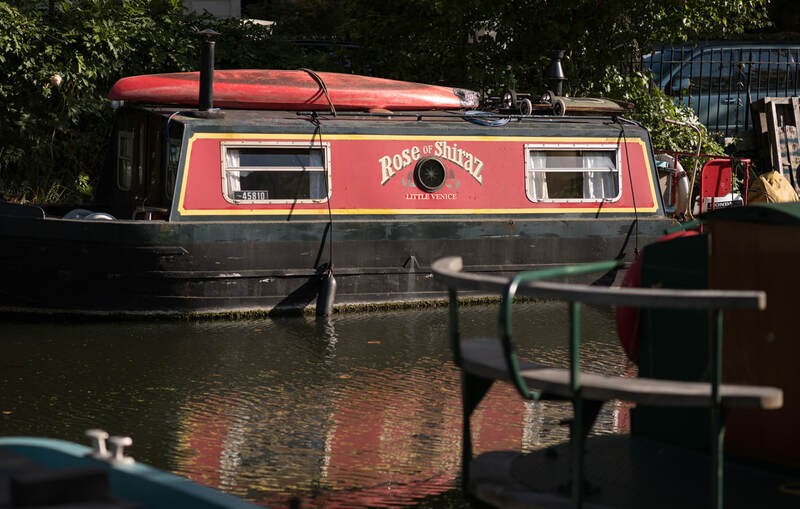 One of the things I never leave London without is a walk along Regent's Canal. 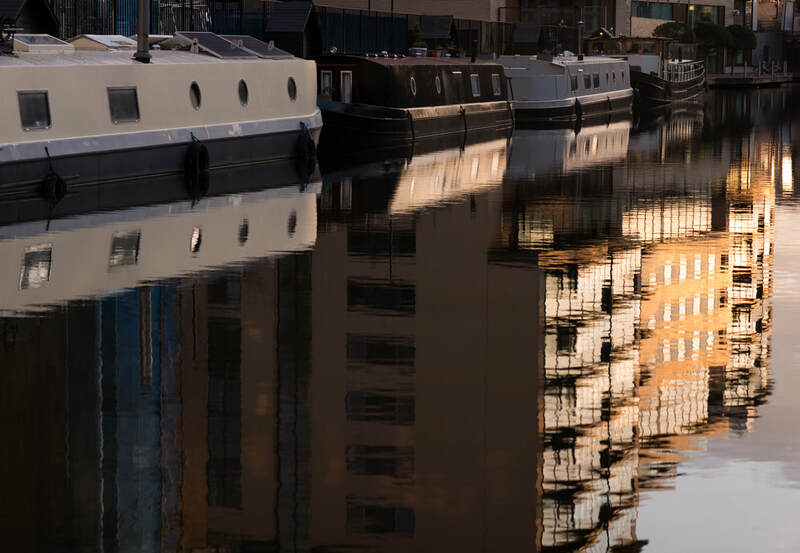 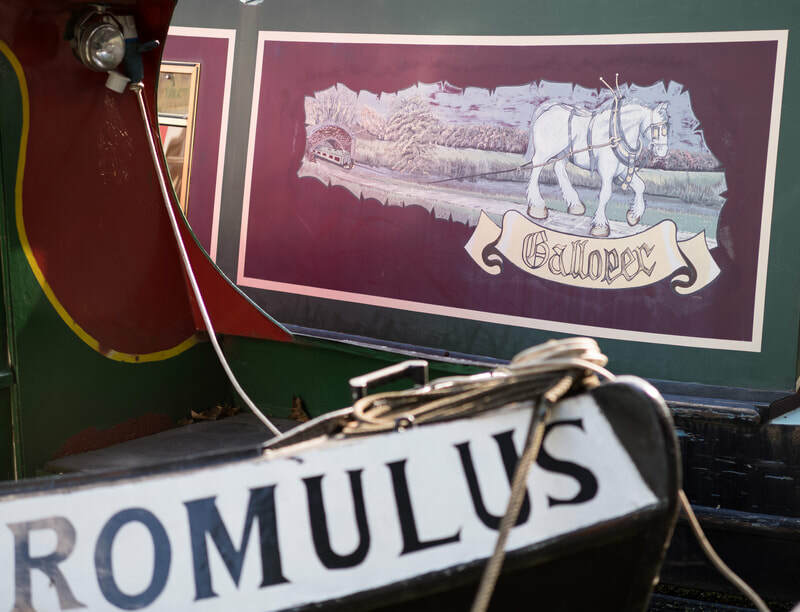 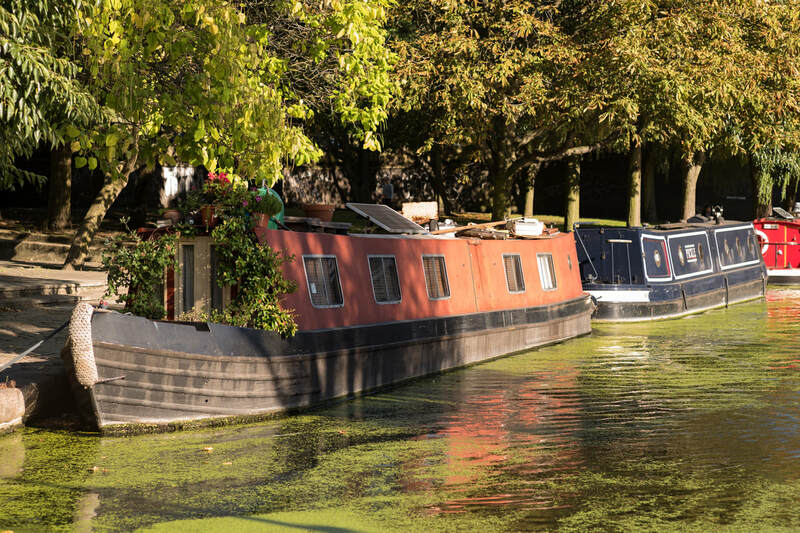 ​Today the 15 km long Regent's Canal is part of the network of inland waterways in London which were mostly used for irrigation and transport since the Roman occupation, then became the focus of the Industrial Revolution, and today are mostly used for recreational boating. 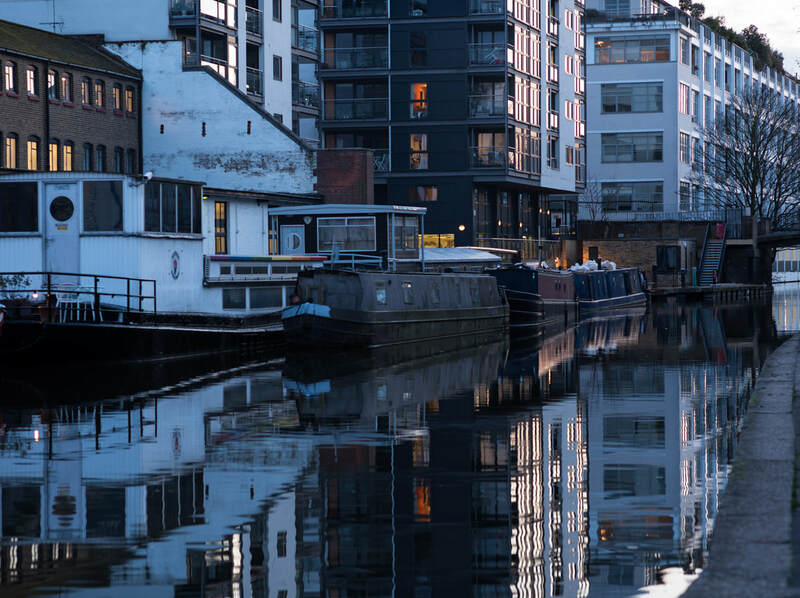 Regent's Canal runs from Paddington Basin through central London, passing by Regent's Park, Camden and Islington to reach the Thames at Limehouse Basin. 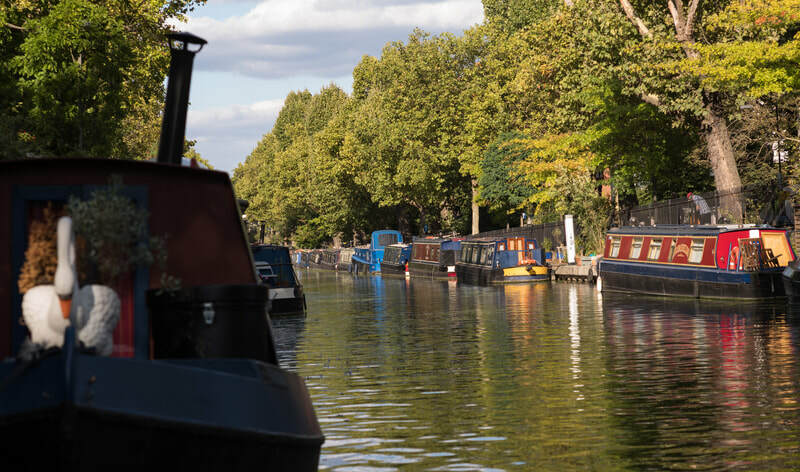 Some of the photos on this page are from Grand Union Canal, which starts at Paddington Basin and runs by Kensal Green Cemetery. 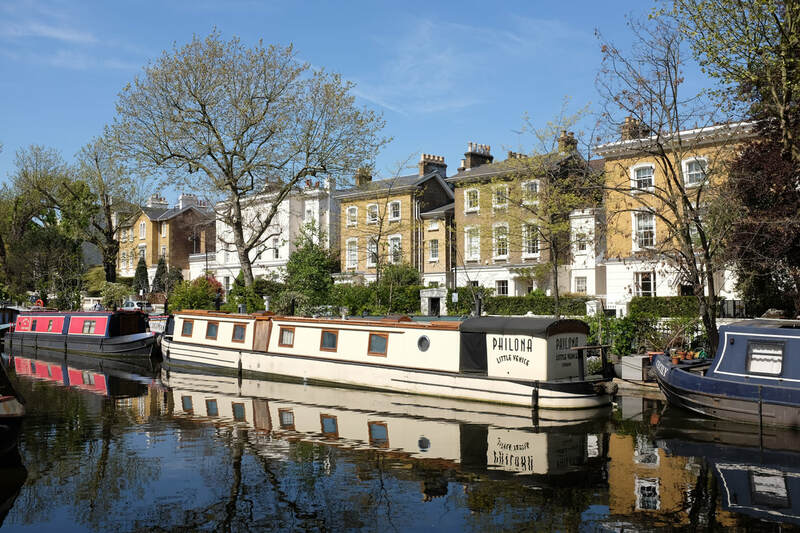 A must-have on your list when in London next is a long walk along Regent's Canal. 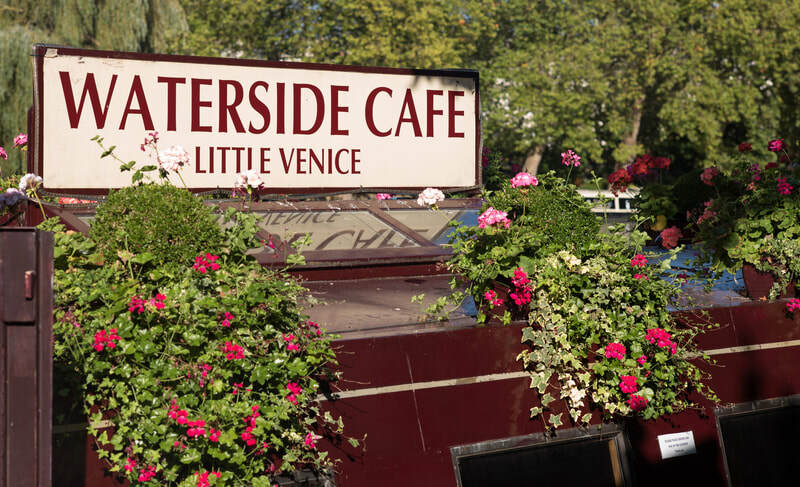 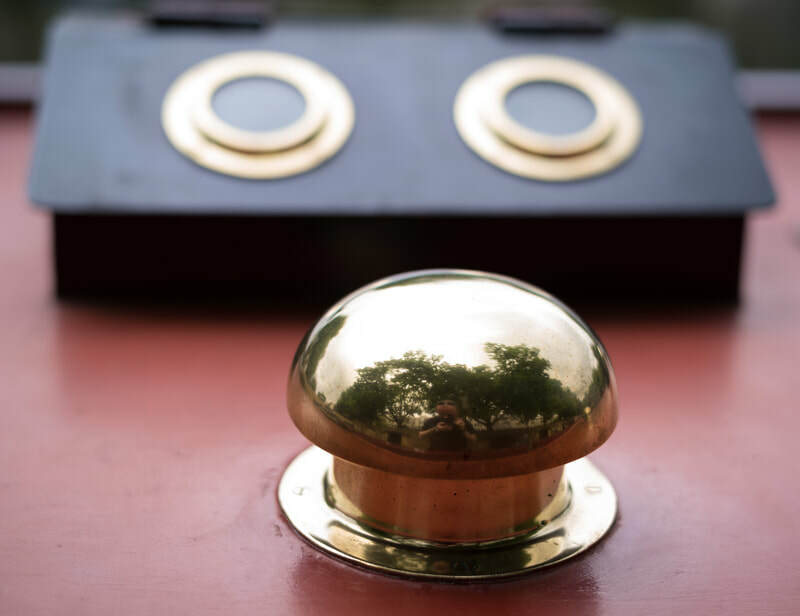 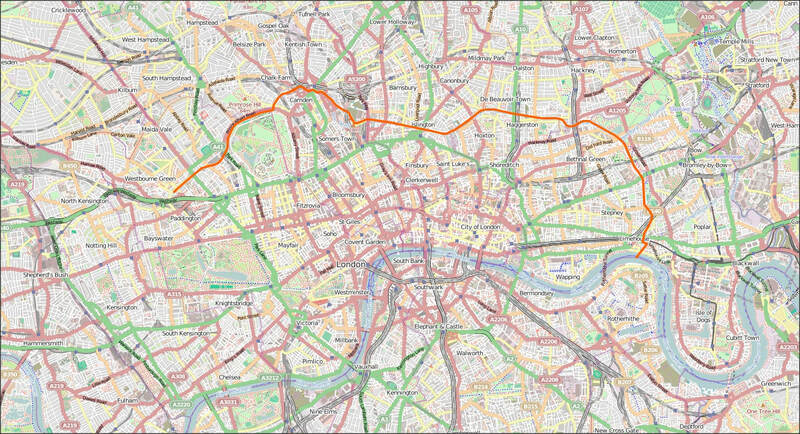 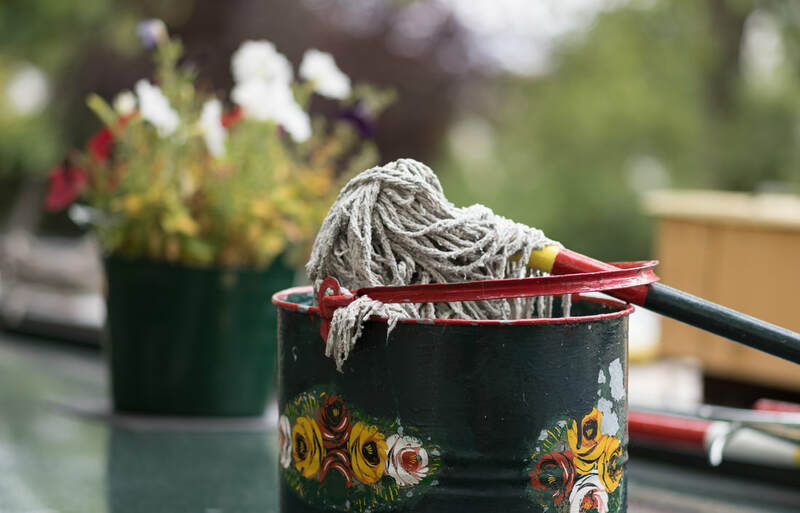 Reserve a bit over half a day, start at Camden or even better at King's Cross or Shoreditch (the canal is interrupted for a short bit) and walk by Camden Lock Market, Regent's Park towards Little Venice. 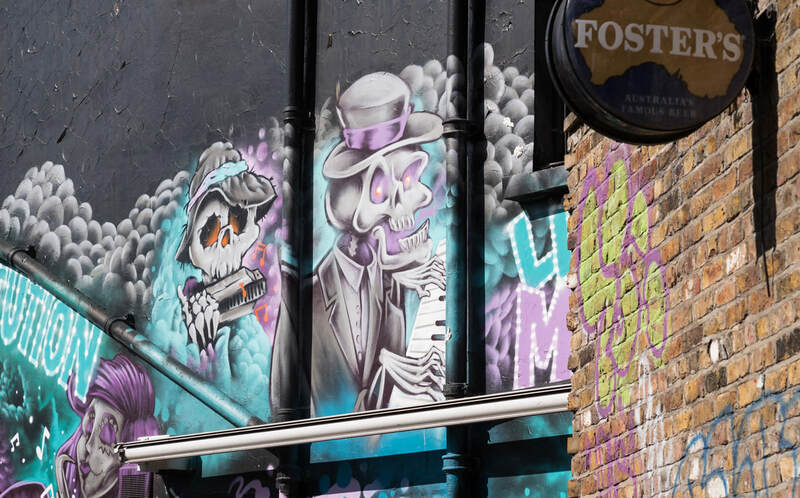 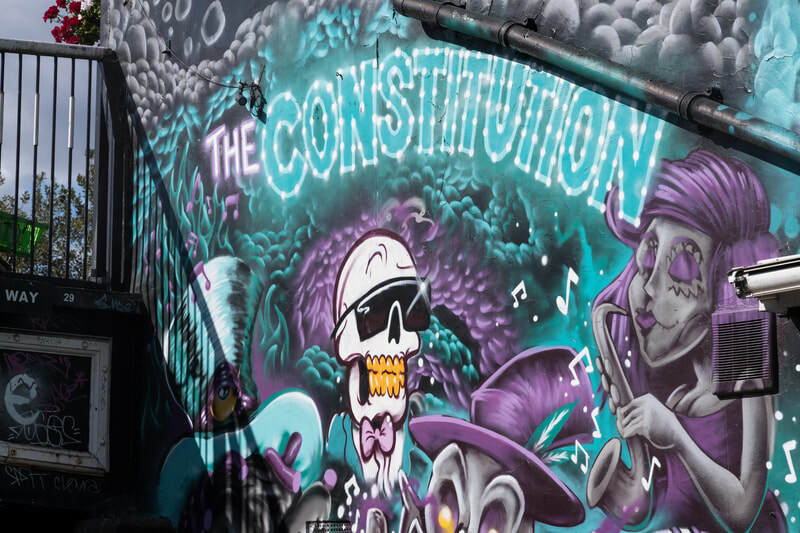 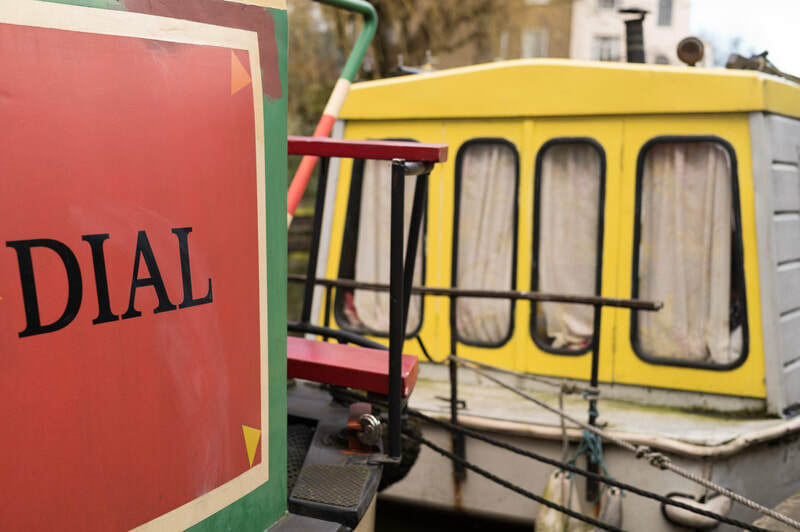 Look at the boats, relax at cafés and pubs, stumble on an unusual bookstore-on-water, marvel at the graffitis and simply enjoy a lot of other fabulously weird stuff. 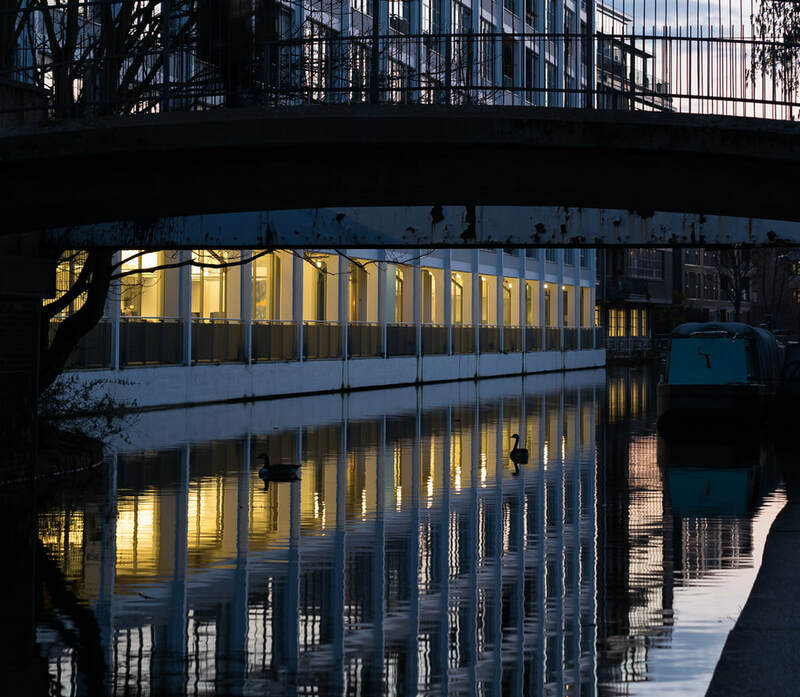 Regent's Canal in the vicinity of Camden. 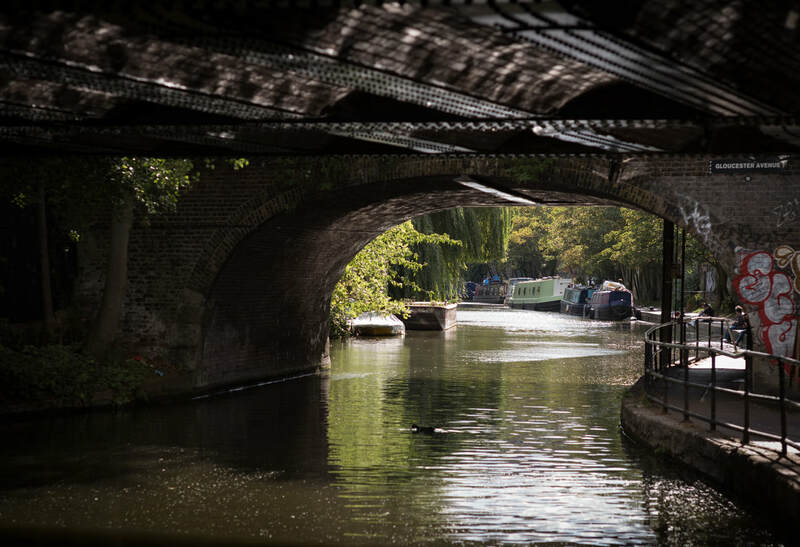 Regent's Canal at Little Venice. 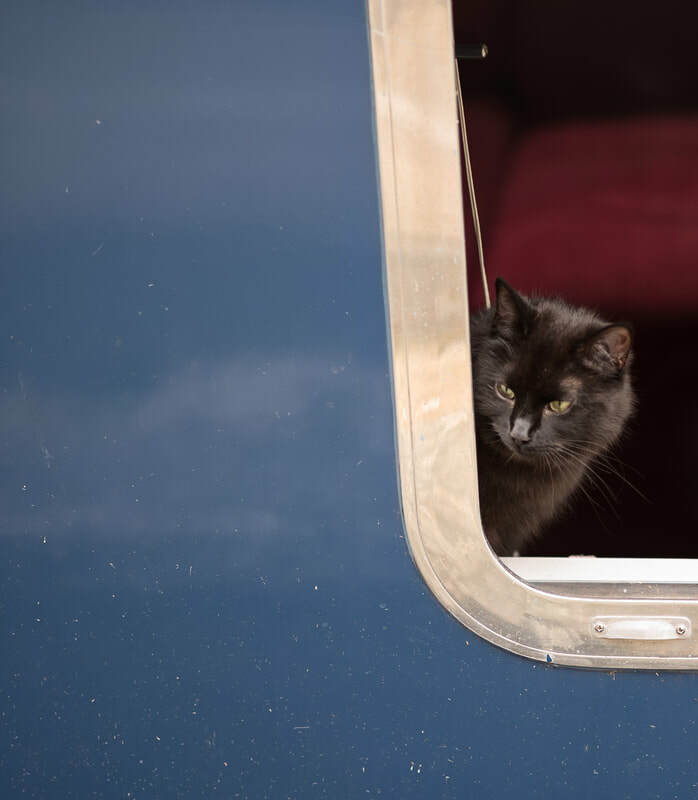 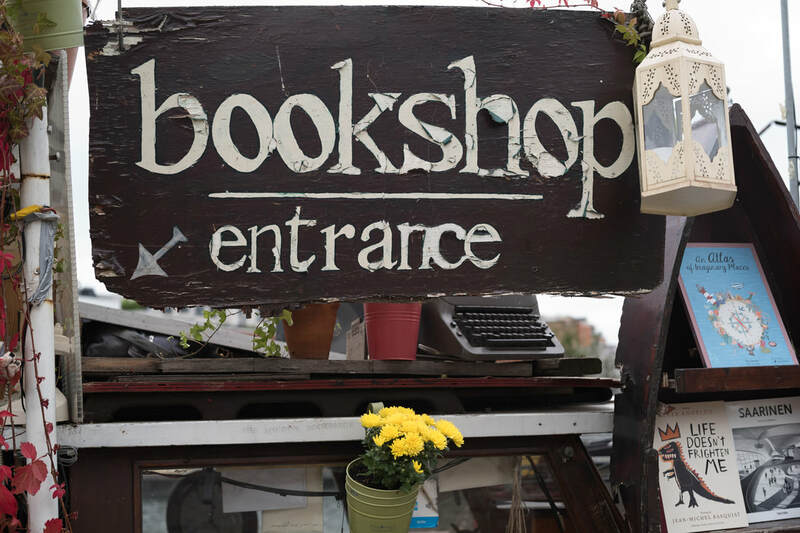 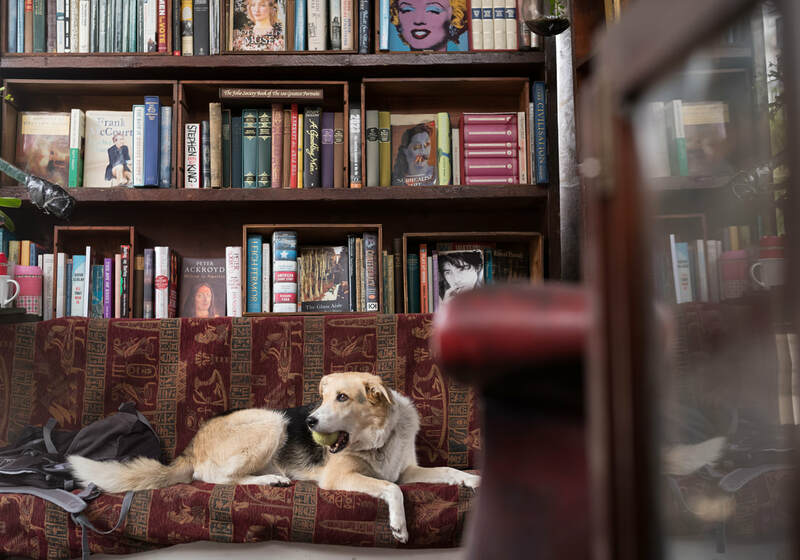 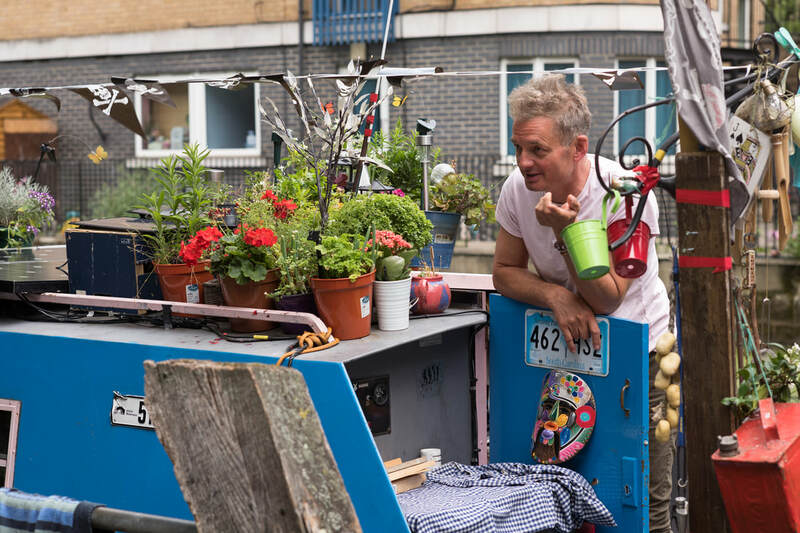 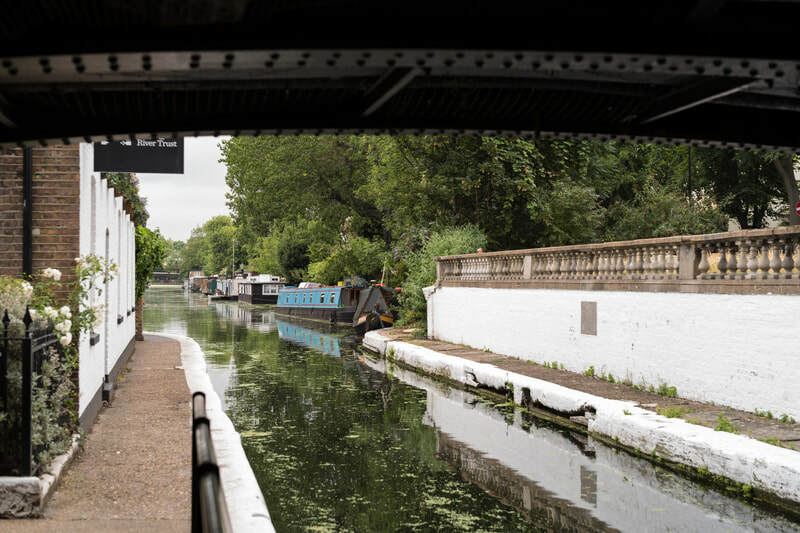 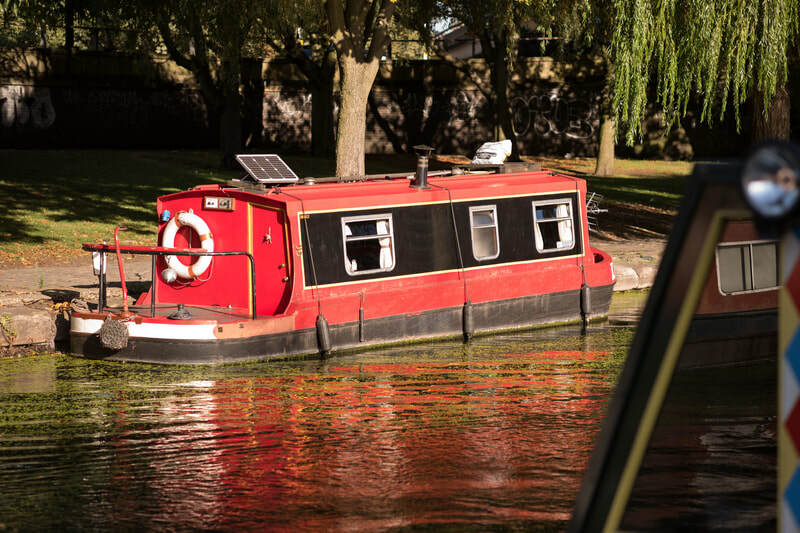 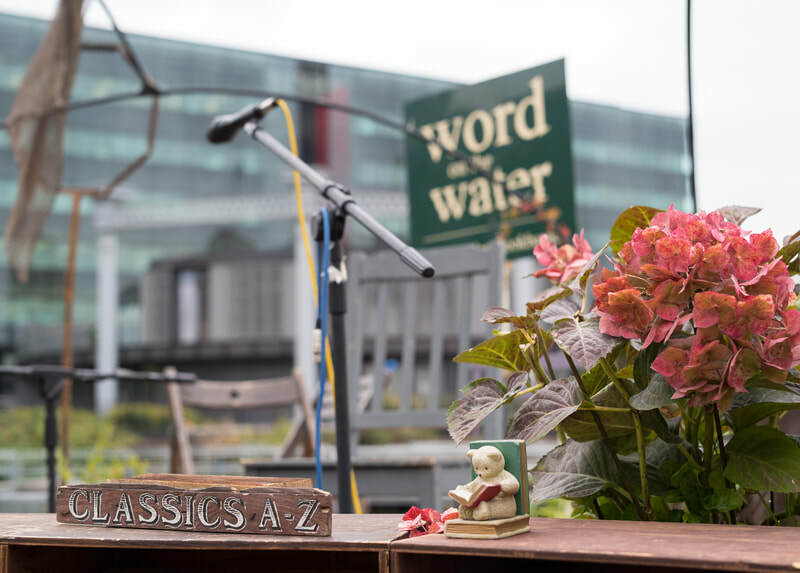 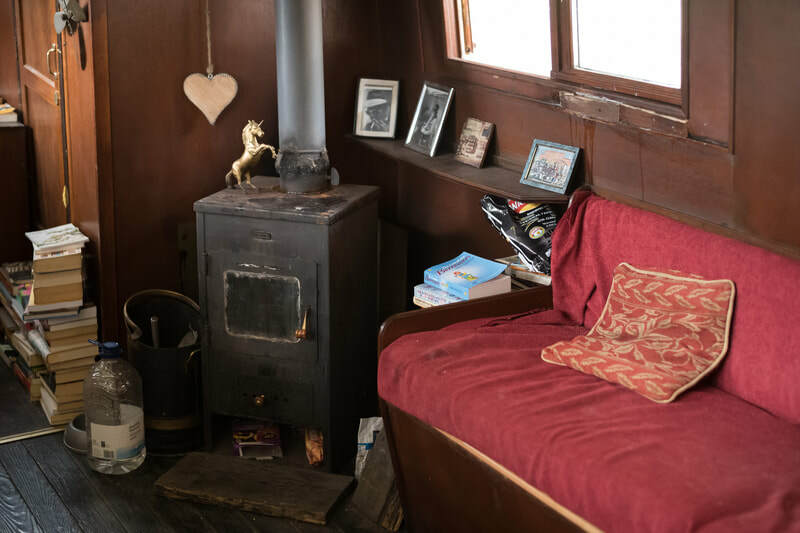 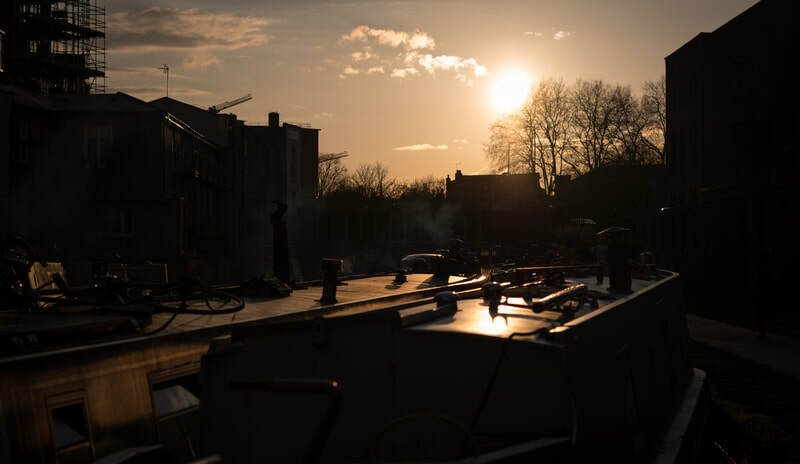 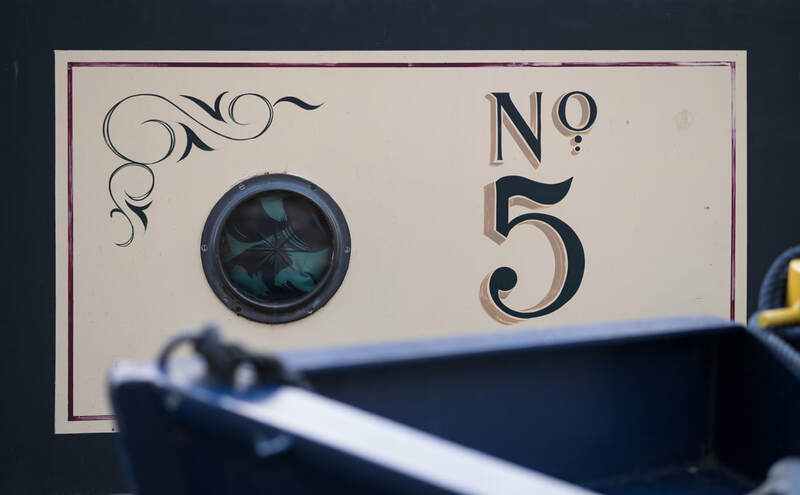 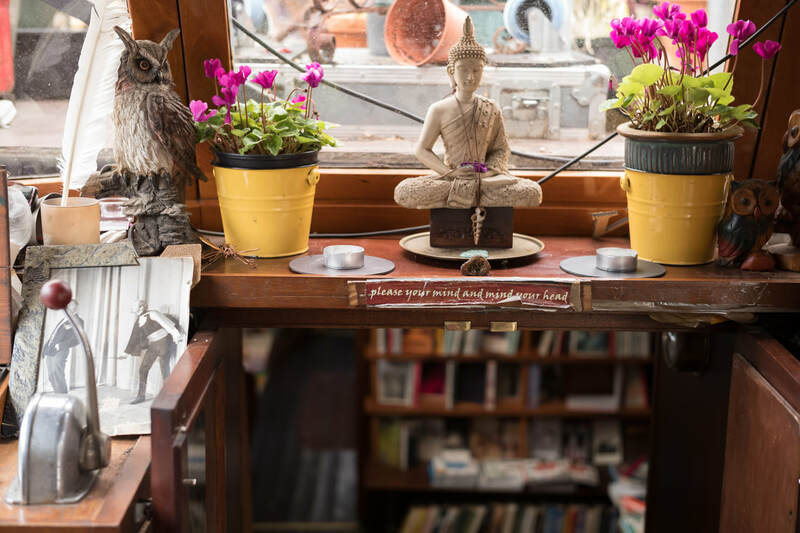 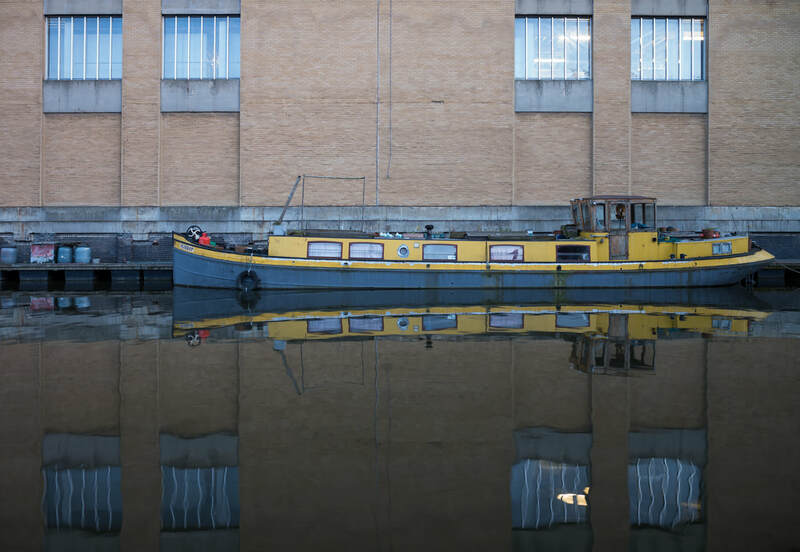 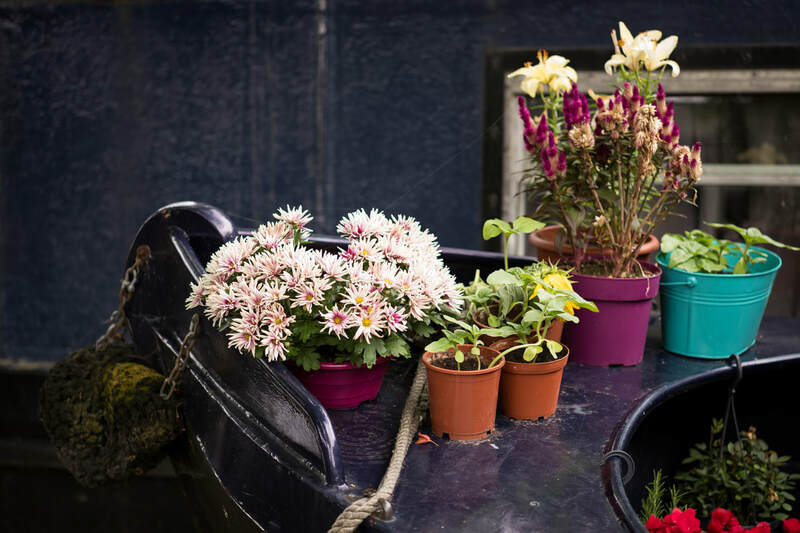 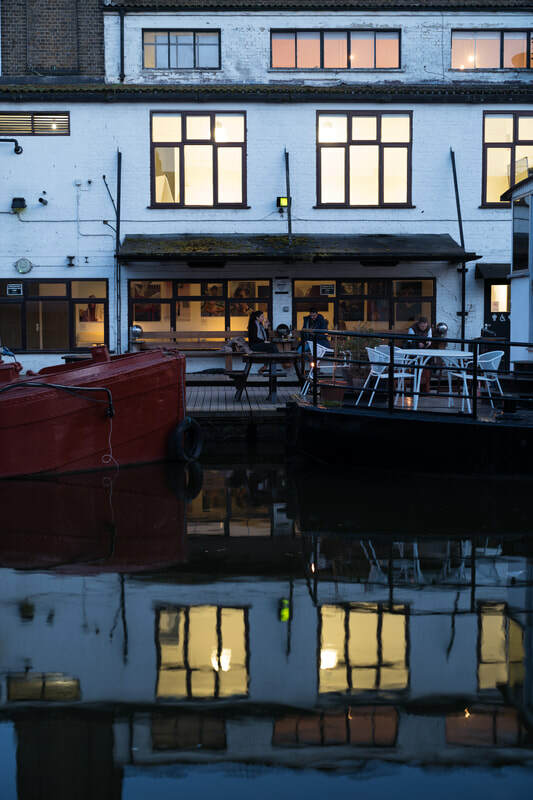 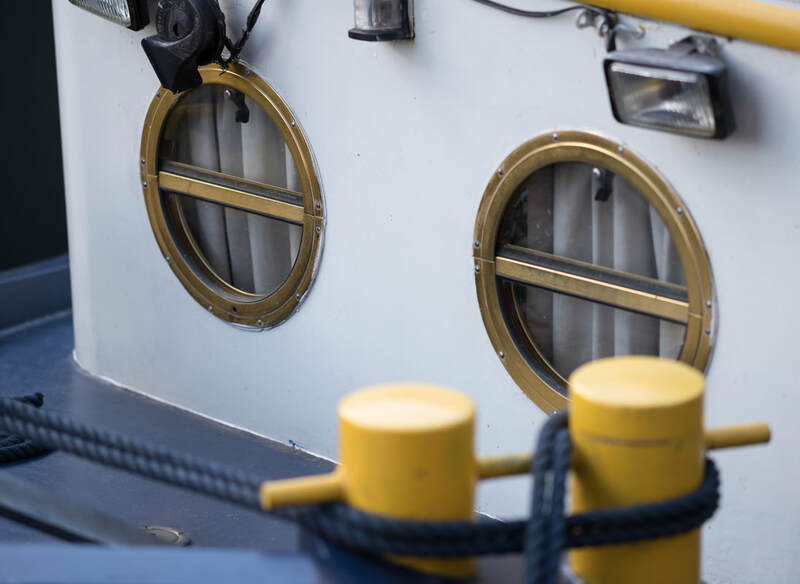 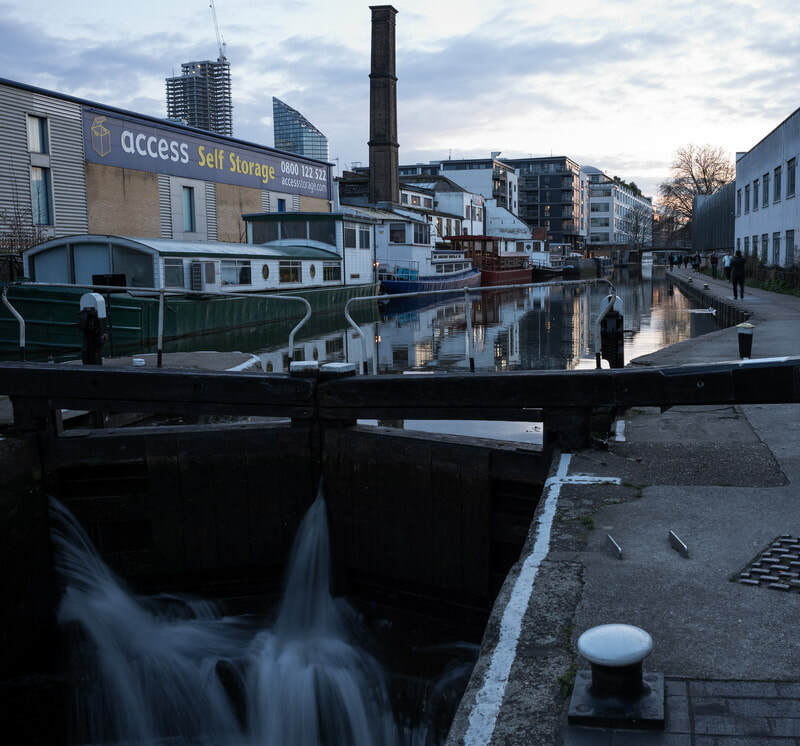 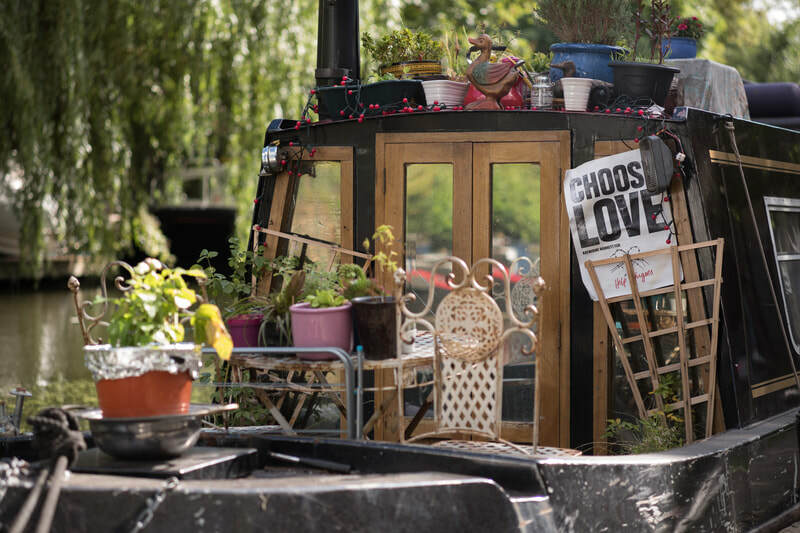 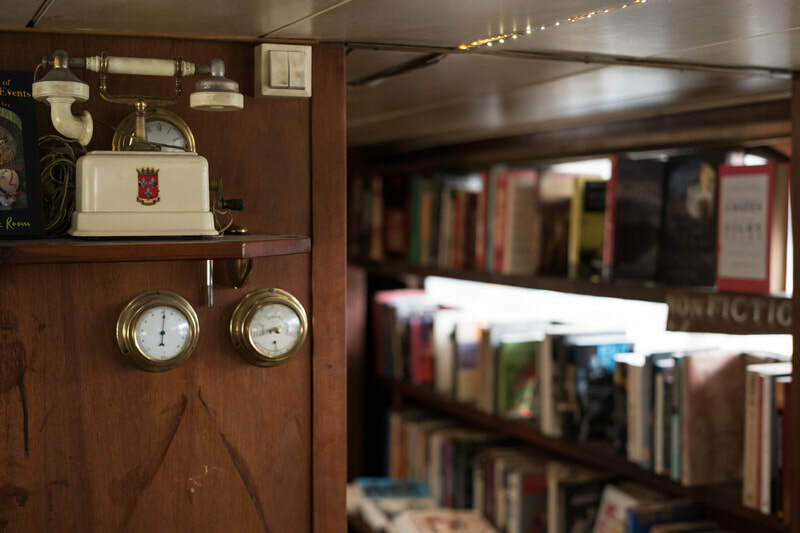 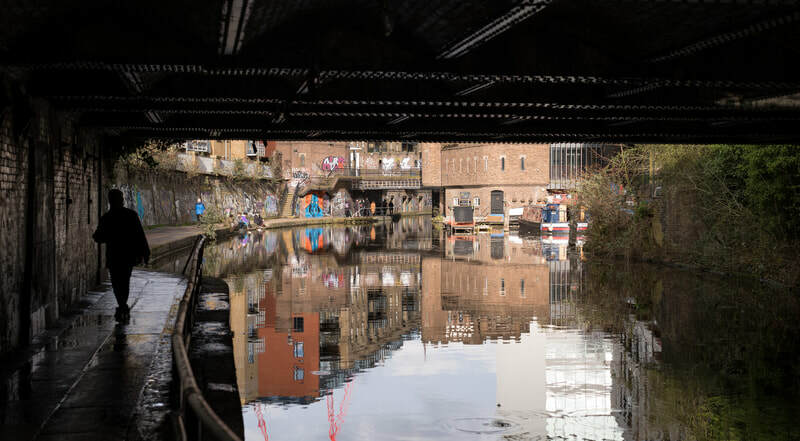 You will find the afore-promised bookstore-on-water on Regent's Canal close to King's Cross, where a boat owner has transformed his boat into a small bookstore and event stage with musical and reading performances.